On November 30th at the Blockchain Conference Chicago, a panel of industry experts cast predictions for what 2017 will hold for both Bitcoin and Blockchain. Prominent themes panelists foresaw included continued investment in blockchain specific startups, steady and increased adoption of Bitcoin for shopping and remittances, and a rise in the bitcoin price. While 2016 has proven to be a strong year for the space, panelists saw 2017 as a year poised to build off of this momentum. As Bitcoin approaches its eighth birthday, a more mainstream understanding of Bitcoin’s basics, combined with a recent increase in the price, is spurring adoption of the cryptocurrency. John Solomon, Co-Founder and CEO at Digital Mint, detailed how recent success at his bitcoin distribution business points towards further growth for bitcoin more widely. At Digital Mint, we are seeing an increase in consumer adoption, just organic use of Bitcoin as a digital currency, as a means of purchasing things online […]. People are actually using bitcoin to shop online for Black Friday, and Cyber Monday, and Giving Tuesday. We expect the trend for uptick in adoption for Bitcoin to continue. 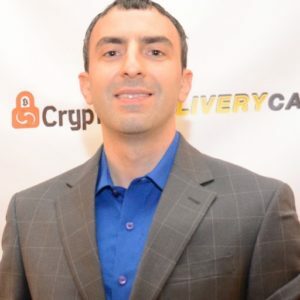 Similarly, Tone Vays of LibertyLifeTrail sees bitcoin as leading the way with ICO’s and blockchain prototypes remaining in the background to bitcoin’s centrality. Vays sees growth in the use of digital cash, particularly for American businesses looking to deliver services to far reaching corners of the world. “I see the cash aspect on the internet growing, particularly due to the opportunities it gives companies like Netflix who can now deliver to the developing world without dealing with the risk for credit card fraud,” Vays added. 2016 has shown a surge in traditional institution driven interest in and prototype creation of blockchain solutions, with investments in projects such as Hyperledger and DragonChain pioneering institutional efforts. In 2017, look for more of the blockchain prototypes to launch and demonstrate use-case specific potential of blockchain technology in a live environment. Large companies, the ones we know and love, will continue investing […]. We will see traditional money in industry verticals making investments not only in their own innovation labs, but also in blockchain startups. Even as investment in blockchain organizations advances, efforts to create blockchain-like prototypes will be met with heightened realism, according to Vays. “I see ‘Blockchain’ as a buzz word fading away, as people realize that what they’re referring to is actually just database technology, not this revolutionary aspect of cash on the internet,” Vays commented. 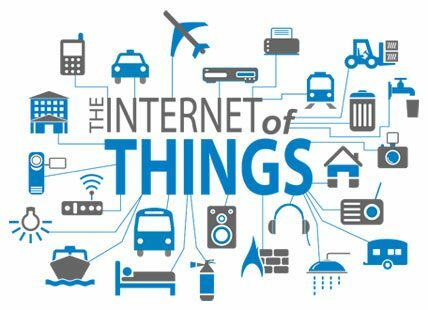 Blockchain technology is additionally poised to play a role in the internet of things (IoT). As computer technology integrates itself into more and more consumer applications, blockchain can act as a communications and encryption layer to enable these plethora of devices to communicate and transact with one another. “I see Blockchain playing as an invisible hand in bringing forth the internet of things.” This will also have a role with big data analytics and machine learning applications, added Lawrence Johnson, head of RightPond Solutions at MorningStar. John Solomon, in addition, sees the easiest problems to tackle for blockchain as the ones that will be realized first. For example, storing data around one’s electrical grid intake is a use case that affects all homeowners and has an impetus behind it for privacy. Similarly, in our homes, iOT solutions will play a role. 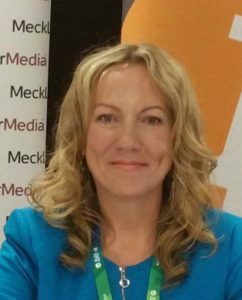 “You can have a refrigerator place an order on a blockchain, and the grocery store sees it, and delivers your groceries. In the short term, this is the next step in the application of this technology,” Solomon added. One other announcement of note during the day was the Illinois Department of Commerce and Economic Opportunity (DCEO) announcement of a state government-lead Blockchain Initiative. 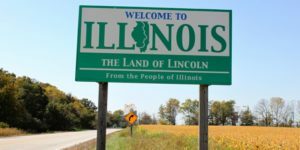 The Illinois government is looking to provide a welcoming regulatory environment for blockchain and bitcoin startups while setting an example to other states for creating a pro-innovation regulatory framework. Moreover, the DCEO is encouraging exploration and implementation of blockchain technology into state records, such as mortgage transactions, birth records, and land titles. 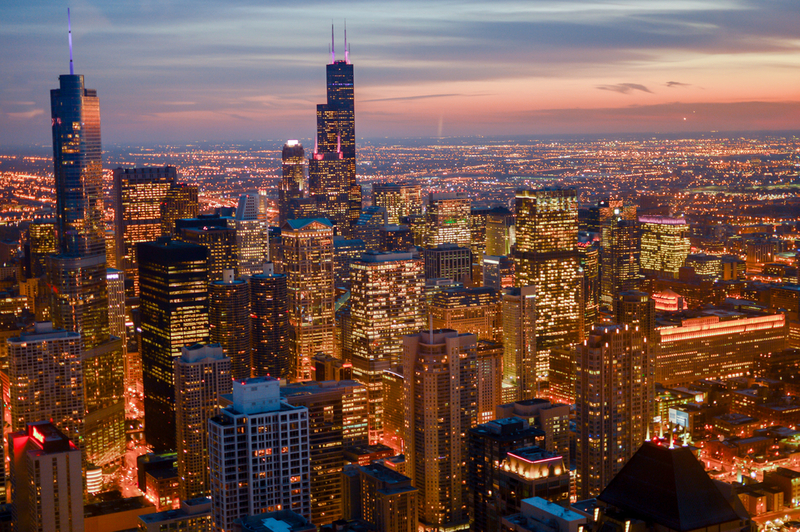 For example, the Cook County Recorder of Deeds is set to become the first land records office in the United States to recognize a land record conveyance using a blockchain solution. The Illinois government has issued guidance and is accepting comment for feedback. Further details of this will be released in coming weeks. What are your predictions for Bitcoin in 2017? Share your thoughts in the comments below!